The District's Department of Transportation will begin a four-month long project to replace the 16th Street Bridge Friday, resulting in a number of lane closures and bus delays. 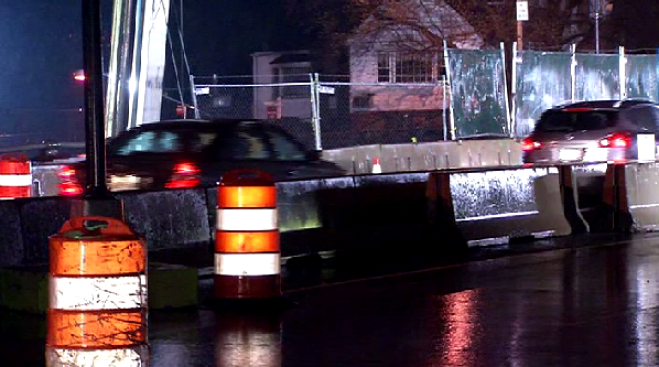 The work along 16th Street NW began early Friday morning. The major commuter route will be down to one lane in each directions as it crosses over Military Road. There will also be some lane closures on Military Road. There will be several weekends when Military Road is completely closed. Drivers are encouraged to use Georgia Avenue as an alternate. In addition to replacing the bridge, crews will also "refurbish the roadway, install new drainage infrastructure and upgrade traffic signals," according to a press release from DDOT. “The 16th Street Bridge has served District residents and visitors for more than 50 years, but now is the time to make it safer and more reliable for drivers,” said Mayor Muriel Bowser. The construction will also affect several Metrobus routes. Metro says routes D31, D33, D34, E2, E3, E4, S1, S2, S4 and S9 will be subject to possible service changes and delays. Some routes will use detours to avoid the bridge construction. Click here for a complete list of detours and service changes.